36. God’s righteous disposition is holy; it is unoffendable as well as unquestionable; it is something possessed by none among the created or non-created beings. It is both unique and exclusive to God. This is to say that God’s wrath is holy and unoffendable; at the same time, the other aspect of God’s righteous disposition—God’s mercy—is holy and cannot be offended. None of the created or non-created beings can replace or represent God in His actions…. This is the true expression of God’s unique righteous disposition. 37. God’s disposition is His own inherent substance. It does not change at all with the passage of time, nor does it change whenever the location changes. His inherent disposition is His intrinsic substance. Regardless of whom He carries out His work upon, His substance does not change, and neither does His righteous disposition. 38. A humanity had become corrupt to the extreme. They did not know who God was or where they had come from. If you mentioned God, these people would attack, slander and blaspheme. Even when God’s servants had come to spread His warning, these corrupt people not only showed no signs of repentance; they did not abandon their wicked conduct. To the contrary, they brazenly harmed God’s servants. What they expressed and revealed was their nature and substance of extreme enmity toward God. We can see that these corrupt people’s resistance against God was more than a revelation of their corrupt disposition, just as it was more than an instance of slandering or mocking stemming from a lack of understanding of the truth. Neither stupidity nor ignorance caused their wicked conduct; it was not because these people had been deceived, and it was certainly not because they had been misled. Their conduct had reached the level of flagrantly brazen antagonism, opposition and uproar against God. Without a doubt, this kind of human behavior would enrage God, and it would enrage His disposition—a disposition that must not be offended. Therefore, God directly and openly released His wrath and His majesty; this is a true revelation of His righteous disposition. 39. God’s use of fire to destroy the city of Sodom is His swiftest method of utterly annihilating a humanity or a thing. Burning the people of Sodom destroyed more than their physical bodies; it destroyed the entirety of their spirits, their souls and their bodies, ensuring that the people inside this city would cease to exist in both the material world and the world invisible to man. This is one way in which God reveals and expresses His wrath. 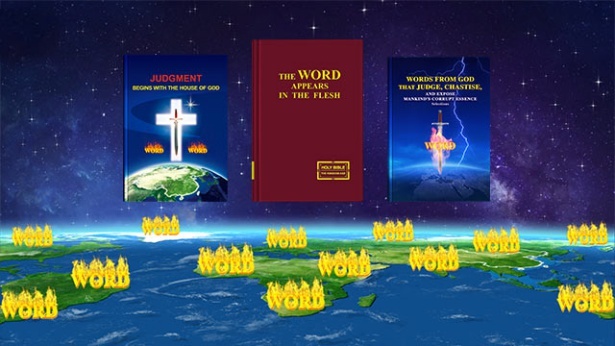 This manner of revelation and expression is one aspect of the substance of God’s wrath, just as it is naturally also a revelation of the substance of God’s righteous disposition. When God sends forth His wrath, He ceases to reveal any mercy or lovingkindness, nor does He display any more of His tolerance or patience; there is no person, thing or reason that can persuade Him to continue to be patient, to give His mercy again, to bestow His tolerance once more. In place of these things, without a moment’s hesitation, God will send forth His wrath and majesty, do what He desires, and He will do these things in a swift and clean manner in accordance with His own wishes. This is the way in which God sends forth His wrath and majesty, which man must not offend, and it is also an expression of one aspect of His righteous disposition. 40. In regard to the whole of the wicked deeds committed by the people of Sodom, harming God’s servants was only the tip of the iceberg, and their wicked nature that this revealed actually amounted to little more than a drop in a vast sea. Therefore, God chose to destroy them with fire. God did not use a flood, nor did He use a hurricane, earthquake, tsunami or any other method to destroy the city. What did God’s use of fire to destroy this city signify? It meant the city’s total destruction; it meant that the city vanished entirely from the earth and from existence. Here, “destruction” not only refers to the vanishing of the city’s form and structure or outer appearance; it also means that the souls of the people inside the city ceased to exist, having been utterly eradicated. Simply put, all people, events and things associated with the city were destroyed. There would be no afterlife or reincarnation for them; God had eradicated them from humanity, His creation, once and forever. The “use of fire” signified a halt to sin, and it meant an end to sin; this sin would cease to exist and spread. It meant that Satan’s evil had lost its nurturing soil as well as the graveyard that granted it a place to stay and to live. In the war between God and Satan, God’s use of fire is the brand of His victory with which Satan is marked. Sodom’s destruction is a great misstep in Satan’s ambition to oppose God by corrupting and devouring men, and it is likewise a humiliating sign of a time in humanity’s development when man rejected God’s guidance and abandoned himself to vice. Furthermore, it is a record of a true revelation of God’s righteous disposition. 41. When God despises a city, He will render His punishment upon it. When God is disgusted with a city, He will issue repeated warnings informing people of His anger. However, when God decides to put an end to and destroy a city—that is, when His wrath and majesty have been offended—He will deliver no further punishments or warnings. Instead, He will directly destroy it. He will make it utterly disappear. This is God’s righteous disposition. 42. When people witness God showing worry and love toward man, they are unable to detect His wrath, see His majesty or feel His intolerance to offense. These things have always led people to believe that God’s righteous disposition is one solely of mercy, tolerance and love. However, when one sees God destroy a city or detest a humanity, His wrath in the destruction of man and His majesty allow people to glimpse the other side of His righteous disposition. This is God’s intolerance to offense. God’s disposition that tolerates no offense surpasses the imagination of any created being, and among the non-created beings, none is capable of interfering with it or affecting it; even more so, it cannot be impersonated or imitated. Thus, this aspect of God’s disposition is the one that humanity should know the most. Only God Himself has this kind of disposition, and only God Himself is possessed of this kind of disposition. God is possessed of this kind of righteous disposition because He detests wickedness, darkness, rebelliousness and Satan’s evil acts—corrupting and devouring mankind—because He detests all acts of sin in opposition to Him and because of His holy and undefiled substance. It is because of this that He will not suffer any of the created or non-created beings to openly oppose or contest Him. Even an individual that He had once shown mercy to or selected need only provoke His disposition and transgress His principle of patience and tolerance, and He will release and reveal His righteous disposition without the least bit of mercy or hesitation—a disposition that tolerates no offense. 43. God’s expression of His wrath symbolizes that all evil forces will cease to exist; it symbolizes that all hostile forces will be destroyed. This is the uniqueness of God’s righteous disposition, and it is the uniqueness of God’s wrath. 44. When God sends forth His wrath, however, all evil forces will be stopped; all sins of harming man will be stopped; all hostile forces that obstruct God’s work will be made apparent, separated and cursed; all of Satan’s accomplices who oppose God will be punished, rooted out. 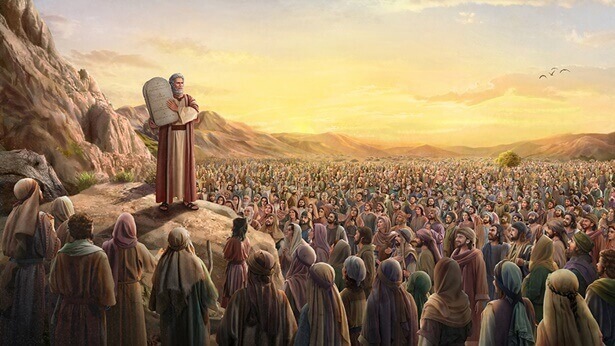 In their place, God’s work will proceed free of any obstacles; God’s management plan will continue to develop step by step according to schedule; God’s chosen people will be free of Satan’s disturbance and deceit; those who follow God will enjoy God’s leadership and supply among tranquil and peaceful surroundings. God’s wrath is a safeguard preventing all evil forces from multiplying and running rampant, and it is also a safeguard that protects the existence and spread of all just and positive things and eternally guards them from suppression and subversion. 45. God sends forth His wrath because unjust, negative and evil things obstruct, disturb or destroy the normal activity and development of just and positive things. The goal of God’s anger is not to safeguard His own status and identity, but to safeguard the existence of just, positive, beautiful and good things, to safeguard the laws and order of humanity’s normal survival. This is the root cause of God’s wrath. 46. Since the creation of man, God has continuously used His righteous disposition to safeguard and sustain humanity’s normal existence. Because His righteous disposition contains wrath and majesty, all evil people, things, objects and all things that disturb and damage humanity’s normal existence are punished, controlled and destroyed because of His wrath. Over the past several millennia, God has continuously used His righteous disposition to strike down and destroy all kinds of unclean and evil spirits which oppose God and act as Satan’s accomplices and bailiffs in His work of managing humanity. Thus, God’s work of the salvation of man has always advanced according to His plan. This is to say that because of the existence of God’s wrath, the most righteous cause among men has never been destroyed. 47. Although the outpouring of God’s wrath is one aspect of the expression of His righteous disposition, God’s anger is by no means indiscriminate as to its target or without principle. To the contrary, God is not at all quick to anger, nor does He rashly reveal His wrath and His majesty. Additionally, God’s wrath is considerably controlled and measured; it is not at all comparable to how man will flare into a rage or vent his anger. Many conversations between man and God are recorded in the Bible. The words of some of these individuals were shallow, ignorant and infantile, but God did not strike them down, nor did He condemn them. In particular, during Job’s trial, how did Jehovah God treat Job’s three friends and the others after He heard the words that they spoke to Job? Did He condemn them? Did He fly into a rage at them? He did nothing of the sort! Instead He told Job to entreat for them, to pray for them; God, on the other hand, did not take their faults to heart. These instances all represent the primary attitude with which God treats corrupt, ignorant humanity. Therefore, the release of God’s wrath is by no means an expression or venting of His mood. God’s wrath is not a full-blown eruption of rage as man understands it. God does not release His wrath because He is unable to control His own mood or because His anger has reached its boiling point and must be vented. To the contrary, His wrath is a display of His righteous disposition and a genuine expression of His righteous disposition; it is a symbolic revelation of His holy substance. 48. Regardless of how angry God had been with the Ninevites, as soon as they declared a fast and wore sackcloth and ashes, His heart gradually softened, and He began to change His heart. When He proclaimed to them that He would destroy their city—the moment prior to their confession and repentance for their sins—God was still angry with them. Once they had gone through a series of acts of repentance, God’s anger for the people of Nineveh gradually transformed into mercy and tolerance for them. There is nothing contradictory about the coinciding revelation of these two aspects of God’s disposition in the same event. How should one understand and know this lack of contradiction? God successively expressed and revealed these two polar-opposite substances as the people of Nineveh repented, allowing people to see the realness and the unoffendableness of God’s substance. God used His attitude to tell people the following: It is not that God does not tolerate people, or He does not want to show mercy to them; it is that they rarely truly repent toward God, and it is rare that people truly turn away from their evil ways and abandon the violence in their hands. In other words, when God is angry with man, He hopes that man will be able to truly repent, and He hopes to see man’s true repentance, in which case He will then liberally continue to bestow His mercy and tolerance upon man. This is to say that man’s evil conduct incurs God’s wrath, whereas God’s mercy and tolerance are bestowed upon those who listen to God and truly repent before Him, upon those who can turn away from their evil ways and abandon the violence in their hands. God’s attitude was very clearly revealed in His treatment of the Ninevites: God’s mercy and tolerance are not at all difficult to obtain; He requires one’s true repentance. As long as people turn away from their evil ways and abandon the violence in their hands, God will change His heart and change His attitude toward them. 49. The mercy and tolerance of God do indeed exist, but God’s holiness and righteousness when He unleashes His wrath also show man the side of God that brooks no offense. When man is fully capable of obeying the commands of God and acts in accordance with God’s requirements, God is abundant in His mercy toward man; when man has been filled with corruption, hatred and enmity for Him, God is profoundly angry. And to what extent is He profoundly angry? His wrath will keep on until God no longer sees man’s resistance and evil deeds, until they are no longer before His eyes. Only then will God’s anger disappear. … He is tolerant and merciful toward things that are kind, and beautiful, and good; toward things that are evil, and sinful, and wicked, He is profoundly wrathful, such that He is unceasing in His wrath. 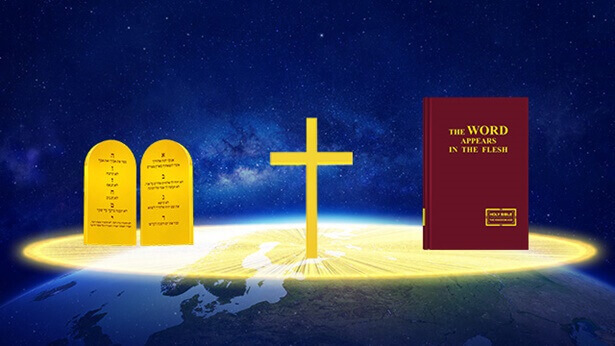 These are the two principal and most prominent aspects of God’s disposition, and, moreover, they have been revealed by God from beginning to end: abundant mercy and profound wrath. 50. In reality, God’s thoughts are constantly transforming according to changes in things and in environments; while these thoughts are transforming, different aspects of God’s substance will be revealed. During this process of transformation, at the moment when God changes His heart, He reveals to mankind the truth of the existence of His life, and He reveals that His righteous disposition is real and vivid. Furthermore, God uses His own true revelations to prove to mankind the truth of the existence of His wrath, His mercy, His lovingkindness and His tolerance. His substance will be revealed at any time and any place in accordance with the development of things. He possesses a lion’s wrath and a mother’s mercy and tolerance. His righteous disposition is not allowed to be questioned, violated, changed or distorted by any person. Among all matters and all things, God’s righteous disposition, that is, God’s wrath and God’s mercy, can be revealed at any time and any place. He vividly expresses these aspects in every nook and cranny of nature and vividly carries them out at every moment. God’s righteous disposition is not limited by time or space, or in other words, God’s righteous disposition is not mechanically expressed or revealed as dictated by the limits of time or space. Rather, God’s righteous disposition is freely expressed and revealed at any time and place. 51. Jehovah God said: “You have had pity on the gourd, for the which you have not labored, neither made it grow; which came up in a night, and perished in a night: And should not I spare Nineveh, that great city…?” These are Jehovah God’s words of blame toward Jonah, but they are all true. … In this declaration of His true feelings, Jehovah God presented the Creator’s mercy for humanity in its entirety. It showed to humanity that “the Creator’s mercy” is not an empty phrase, nor is it a hollow promise; it has concrete principles, methods and objectives. He is true and real, and uses no falsehoods or disguises, and in this same manner His mercy is endlessly bestowed upon humanity in every time and age. However, to this very day, the Creator’s exchange with Jonah is God’s sole, exclusive verbal statement of why He shows mercy to humanity, how He shows mercy to humanity, how tolerant He is of humanity and His true feelings for humanity. Jehovah God’s succinct conversation expresses His complete thoughts for humanity; it is a true expression of His heart’s attitude toward humanity, and it is also concrete proof of His bestowal of abundant mercy upon humanity. His mercy is not only bestowed upon humanity’s elder generations; it is also granted to the younger members of humanity, just as it has always been, from one generation to the next. Although God’s wrath frequently comes down upon certain corners and certain eras of humanity, God’s mercy has never ceased. With His mercy, He guides and leads one generation of His creation after the next, supplies and nourishes one generation of creation after the next, because His true feelings toward humanity will never change. Just as Jehovah God said: “And should I not spare Nineveh…?” He has always cherished His own creation. This is the mercy of the Creator’s righteous disposition, and it is also the pure uniqueness of the Creator! 52. One must understand that no matter how loving God is, no matter how much mercy and love He has for people, God does not tolerate anyone offending His status and position, nor does He tolerate anyone offending His dignity. Even though God loves people, He does not spoil them. He gives the people His love, His mercy, and His tolerance, but He has never pandered to them; He has His principles and His limits. Regardless of what extent you have felt God’s love in you, regardless of how deep that love is, you must never treat God as you would treat another person. While it is true that God treats people as close to Him, if a person views God as another person, as if He were just another being of creation, like a friend or an object of worship, God will hide His face from them and forsake them. This is His disposition, and He tolerates no one treating Him with carelessness on this issue. 53. The Creator expresses His righteous disposition through His own unique methods and principles; He is not subject to the control or restrictions of any people, events or things. With His unique disposition, no one is able to change His thoughts and ideas, nor is anyone able to persuade Him and change any of His decisions. The entirety of the behavior and thoughts of creation exist under the judgment of His righteous disposition. No one can control whether He exercises wrath or mercy; only the substance of the Creator—or in other words, the Creator’s righteous disposition—can decide this. This is the unique nature of the Creator’s righteous disposition!